Our network operates 20+ cities. Here's a list of the places where anyone can pop in & pick up a complimentary map collection. 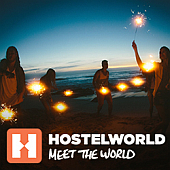 Starting with some fantastic hostels, budget hotels & services for travelers. † Map quantities shown for each 1 edition / year period. * Map quantities shown for each 1 edition / year period. Further links in UK & Eire. CitySpy Mapping Ltd. If based anywhere then it's Prague CZ. Pretty much the center of things..